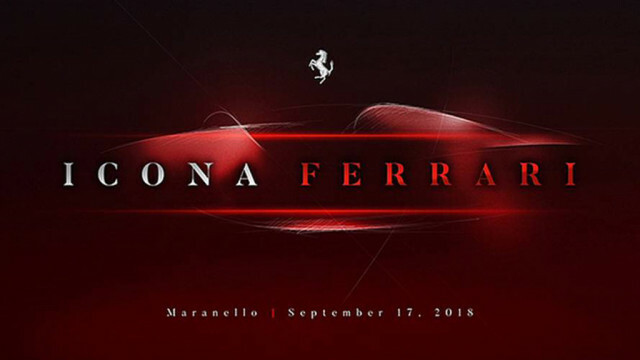 Ferrari looks set to unveil a new model at its headquarters in Maranello, Italy on September 17. This suggests it might be a one-off model developed by Ferrari’s Special Projects coach-building service, or possibly a limited-edition model like the J50 unveiled in 2016 to mark 50 years of Ferrari sales in Japan. The 812 Superfast’s predecessor, the F12 Berlinetta, also spawned a limited-edition model in 2016: the F60 America built to celebrate 60 years of Ferrari sales in the United States. Ferrari has a section on its website with more details on the F176, though to access it you will need a Reserved My Ferrari login, which is provided to customers of the brand. Motor1 has managed to obtain a teaser posted on the site, however. It doesn’t reveal much but hints at an open-top design for the F176. We know an open-top version of the 488 Pista is coming, though that car is expected to debut later this month during Monterey Car Week. Hopefully we have more details on the F176 soon. Stay tuned.